If you just bought a new printer and need someone to set it up or if you are having problems setting up the printer yourself give "Lake Computer Repair" a call. 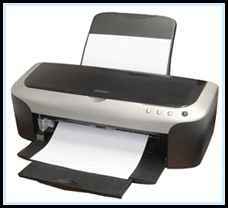 "Lake Computer Repair" can also repair many of your Laser, Inkjet, or Dot Matrix printers, however if you have an inexpensive inkjet printer, you may want to consider replacing the printer. Because of the low cost of some inkjet printers, it is usually cheaper to replace the printer rather than having it repaired.